Get on the bus! Or, the first cuckoo of spring? More passengers shock?! 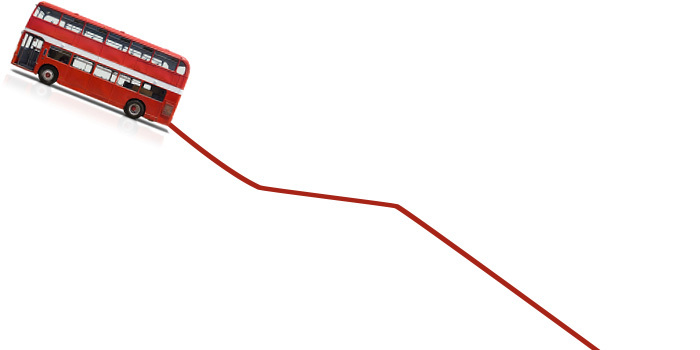 It’s early days, far too soon to draw conclusions and we must wait to see if a trend is starting but the big bus operators are reporting significant passenger number growth for the first time in ages. Why? It seems to a be a combination of: stable networks, better marketing, driving training, stopping endless fare rises in some cases and the health of the high street picking up. Some operators are seeing 3-4% growth. Maybe the recession has galvanised operators and authorities to really think about services and how to improve them at no extra cost. This is really good news. Add in the stability created by the Government’s recent announcements about the continuation of the Bus Services Operators Grant (a kind of fuel duty subsidy), the continuation of the Better Bus Areas funds and some really good results from local authority/operator partnerships, like that in South Yorkshire, and things all look a bit better. Passenger Focus, the independent statutory consumer watchdog for England’s (outside of London) bus, coach and tram passengers and Britain’s rail passengers is well placed to track these developments. Our Bus Passenger Survey now involves over 30,000 bus passengers a year. It enables powerful comparative benchmarking between areas, operators and owning groups. On its own it drives change – no one likes being bottom. The results of the latest wave of our Bus Passenger Survey are out. 22,000 bus passengers across 20 areas in England. This year we show the drivers of satisfaction and dissatisfaction (fare-payers only) in each of the areas we surveyed. The factors driving satisfaction are broad, but often relate to the bus driver, in particular ‘smoothness/freedom from jolting’. The most prevalent causes of dissatisfaction are ‘on-bus journey time’, ‘safety of the driving’, ‘smoothness/freedom from jolting’, and ‘length of time waited’. Passengers continue to rate overall satisfaction with their journey fairly highly, but there is still much room for improvement. The proportion satisfied overall with their bus journey varied across areas from 73 to 92 per cent (averaging 84 per cent). Passenger satisfaction with value for money ranged from 30 per cent to 70 per cent across the areas surveyed (averaging 54 per cent). Are fare levels, combined with the current economic climate, now really starting to hit passengers’ pockets and their views of value for money? Sometimes it can be difficult to find out what fares are, other than by looking on the side of the bus or asking the driver – perhaps the industry is underselling itself?